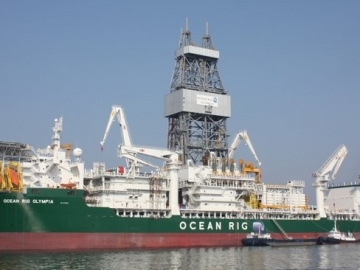 Offshore drilling firm Ocean Rig has reached an agreement with Samsung Heavy Industries (SHI) to postpone drillship deliveries and reschedule instalments for the rigs currently being built in South Korea. 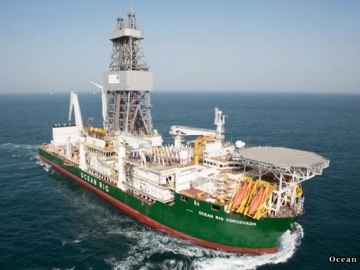 Is This The Drillship Bargain Of The Century? 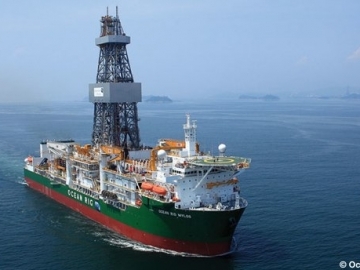 Offshore drilling contractors, Ocean Rig, may just have bagged the bargain of the century, with a ultra deepwater drillship for a mere $65 million. 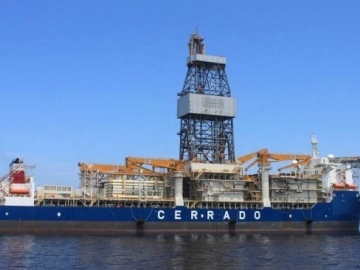 The offshore Gavea A1 appraisal well has been classed a success by partners, Repsol Sinopec, Statoil and Petrobras, after producing high flows. More drilling planned after successful exploration for Cairn Energy, as it releases details on its latest exploration well, BEL-1, offshore Senegal. 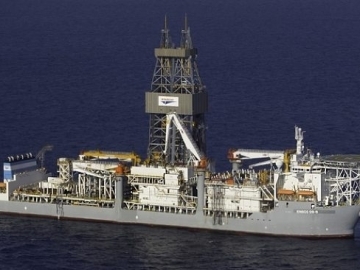 Offshore drilling rig buyout gives full control to operators Ocean Rig, as the Cypriot based offshore drilling firm purchases all available shares on its fleet. The offshore drilling rig Leiv Eiriksson wins work with Lundin Petroleum, confirming the news announced by Offshore Post back in February. Total exploration drills dry well offshore North Sea, proving no hydrocarbons in the area north of the Garantiana oil discovery, offshore Norway. 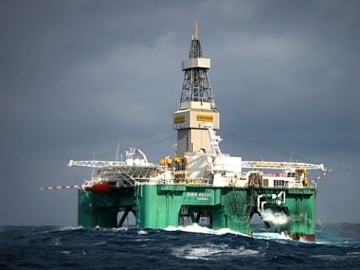 Drilling Work secured for Ocean Rig semisubmersible Leiv Eiriksson, as Lundin Petroleum look to continue drilling offshore across the North Sea sectors. 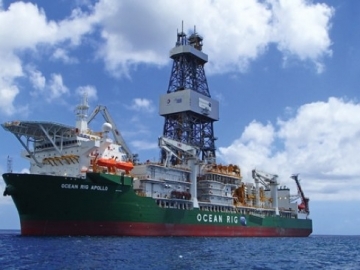 Ocean Rig hits out at Premier Oil with a US$63 million demand in relation to the early cancellation of the ultra deepwater drilling Eirik Raude. 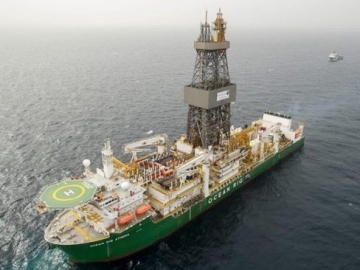 Total terminates ultra deepwater drillship Apollo, bringing a second long-term drilling rig cancellation to the vessels owners Ocean Rig in under a week. 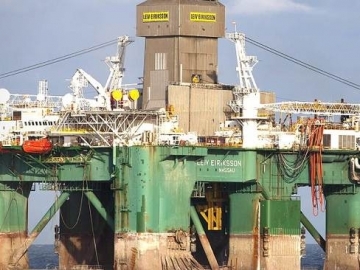 Premier Oil scraps drilling rig with immediate effect in a dispute with owners Ocean Rig, ending its time drilling oil wells offshore Falkland Islands. 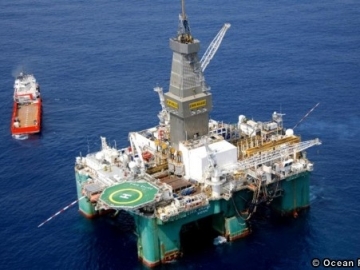 Ocean Rig lose an offshore drilling contract with Italian oil and gas major ENI, as the global oil downturn continues to bite the offshore drilling industry. Deeply troubled Brazilian state run offshore oil and gas company, Petrobras, is looking to walkout of yet more legally binding contacts with offshore contractors.